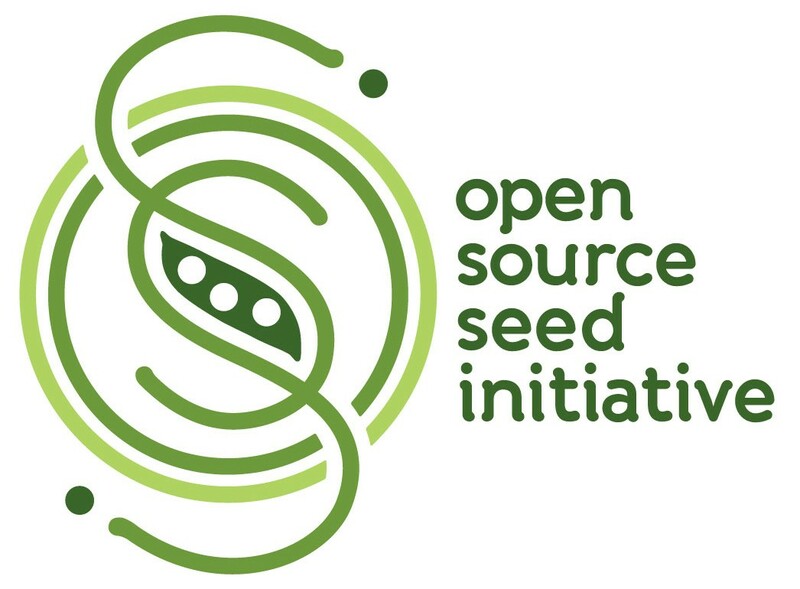 A number of plant breeders, farmers and seed companies have joined together to start the Open Source Seed Initiative. Over the last 25 or so years, the seed industry has consolidated tremendously leaving a small number of large multinational corporation in control of the majority of the world’s commercial seeds. These companies use a number of techniques to “protect” their investments. One is to hybridize seed creating a new variety from two dissimilar parents. If that plant is allowed to set seed at the end of its cycle, that seed won’t come true the next time it is planted. In other words it will most likely revert back to one of its parents, rather than produce a replica of the planted variety. The result is that growers need to return to the seed company and purchase the seed again. More recently seed companies have begun to patent their seed. This also prevents growers from saving or sharing seed to replant the following season. According to the Open Source Seed Initiative website “patented seeds cannot be saved, replanted, or shared by farmers and gardeners. And because there is no research exemption for patented material, plant breeders at universities and small seed companies cannot use patented seed to create the new crop varieties that should be the foundation of a just and sustainable agriculture. Inspired by the free and open source software movement that has provided alternatives to proprietary software, OSSI was created to free the seed – to make sure that the genes in at least some seed can never be locked away from use by intellectual property rights.” A number of seed breeders have joined OSSI and contributed varieties that can not be restricted in the future. Check here for a list of seed companies who have OSSI listed varieties.